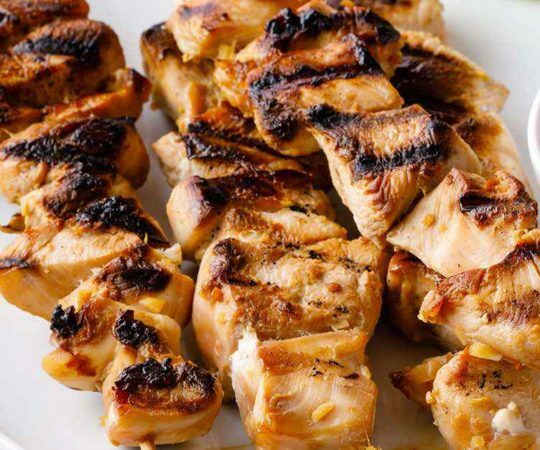 Armed with my teriyaki sauce you’ll be able to turn bland and boring chicken and beef into something really special. There’s something about teriyaki sauce that makes it slightly addictive. 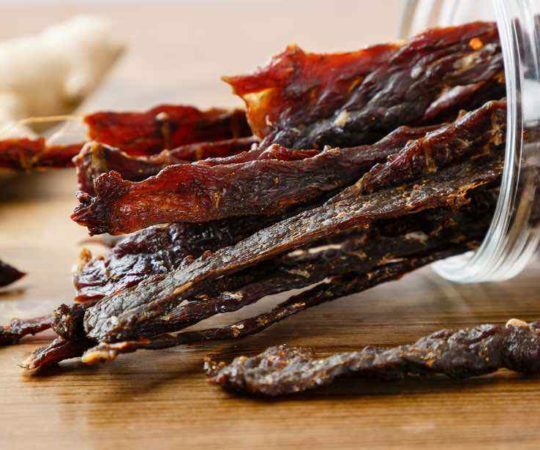 It’s sweet, salty, and clings well to whatever meat you put on it so you get lots of flavor with each bite. Teriyaki chicken has long been a favorite of mine whenever I’d see it on the menu at a Japanese restaurant. 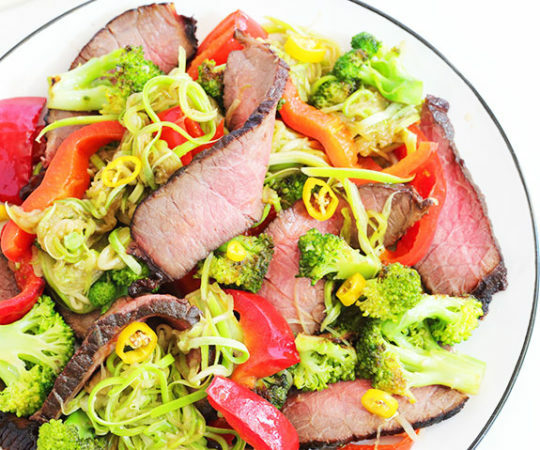 So after starting Paleo I just had to figure out a way to capture that flavor and deconstruct the ingredients so I didn’t have to feel guilty about it. I didn’t realize just about everything would have to be subbed out or upgraded. 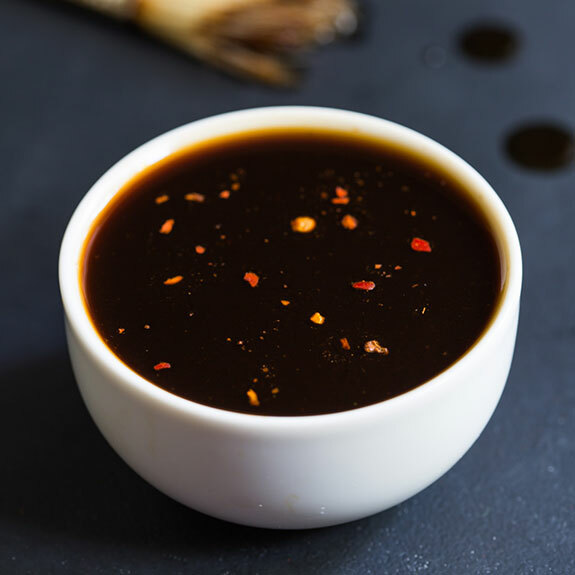 Teriyaki sauce typically starts off with soy sauce as a base, and there’s a whole debate over whether soy sauce is Paleo, and if so if you should use one that’s gluten-free, or low sodium, or use coconut aminos instead. I like to avoid the whole debate and just use coconut aminos since it replicates the taste well and is Paleo friendly. 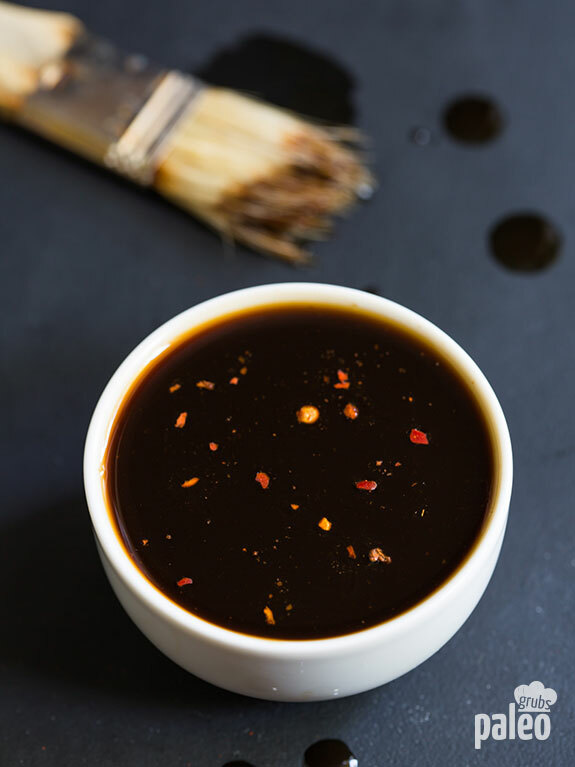 Orange juice and honey give this teriyaki sauce its sweetness without the need of any refined sugar. This helps to balance out the kick it gets from freshly grated ginger and minced garlic. 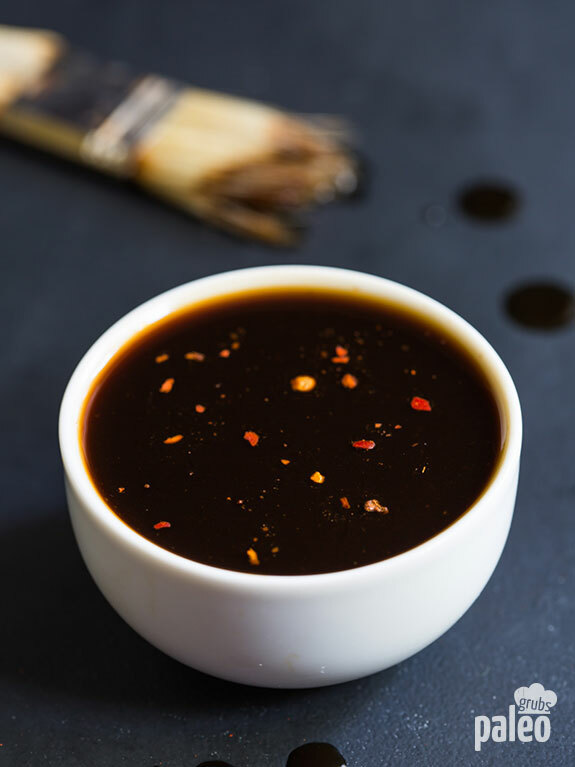 It’s a much better option than the tons of brown sugar one of the leading teriyaki sauce uses. Go with freshly squeezed orange juice instead of store bought so that you’re only adding real sweetness from the orange without added sugar. Instead of using garlic powder and powdered ginger I definitely recommend going with their fresh versions. The taste is out-of-this-world better and it isn’t really even a comparison. You also get more of the healthy substances found in garlic and ginger so there’s an added bonus to going with fresh. 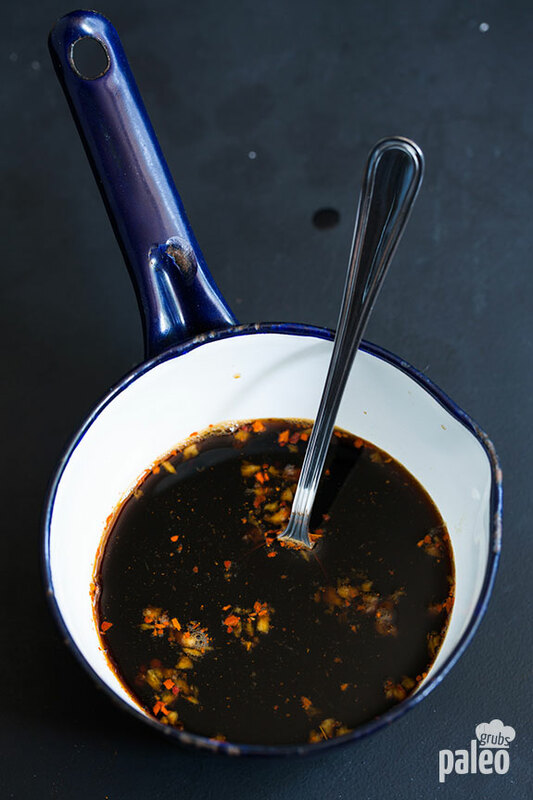 Adding in some chili flakes gives the sauce just the right amount of heat, not enough so that you even really notice it while you’re eating it, but there’s an aftertaste that is nicely warming. You can also just leave them out if you don’t like anything spicy about your teriyaki sauce. In my humble opinion the best thing to adorn with this sauce is a perfectly cooked chicken breast. A close runner up is grilled sirloin with this sauce used as a coating while grilling. The real fun of making a batch of this sauce is trying it on all sorts of different meats and cuts of meat. You’ll probably discover your own personal favorites once you have some on hand. It’s super-easy to double the recipe and get twice as much to use later. 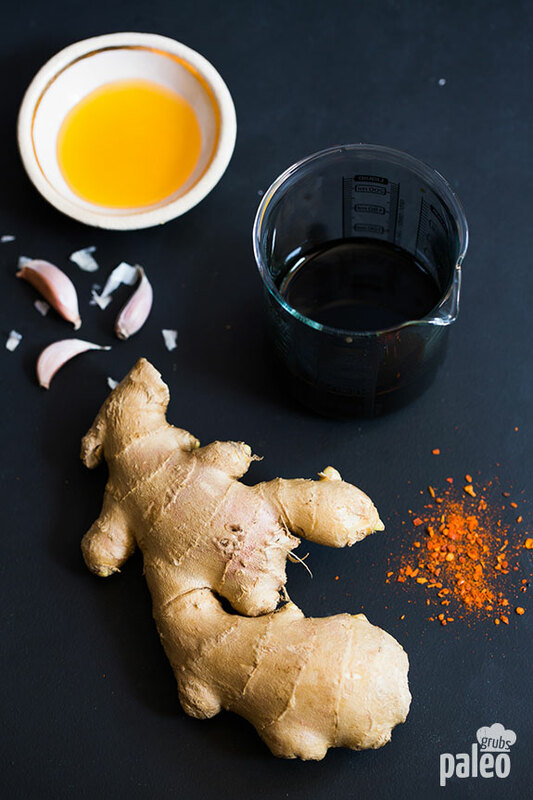 Mix the coconut aminos, orange juice, honey, ginger, garlic and chili flakes in a small saucepan and heat it over medium heat. If you are using tapioca flour, mix it with 2 tablespoon of cold water and add the mixture into the sauce and cook until thicken. If not using tapioca, just simmer the sauce until thickened. How long does this Paleo soy sauce keep for in the fridge …Weeks? Months? I thought maybe the orange juice would not keep for long ? This was so good. I am going to make this again and again. Thanks for all the great recipes. I just made this with the tapioca flour and..